EXCELLENCE in Australian agriculture was celebrated yesterday with the announcement of the Kondinin Group and ABC Rural 2018 Australian Farmer of the Year Awards at Parliament House, Canberra. 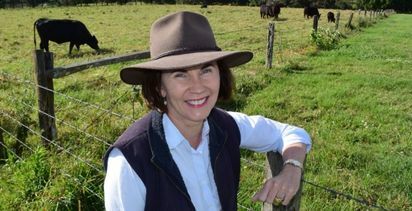 The Kondinin Group and ABC Rural Farmer of the Year Awards are being held in Canberra today. Salmonid farmers Peter and Frances Bender from Hobart, Tasmania, have been jointly recognised as the 2018 Australian Farmer of the Year. Peter and Frances were standout nominees for the Award and were chosen by the judges for their outstanding contribution to agriculture, innovative farming practices and commitment to their staff and local community. They were highly commended for their hands-on role, their business understanding and the impact of their work. Peter and Frances are the founders of Huon Aquaculture Company; recognised internationally as being an industry leader and innovative producer of premium quality salmonid products with a staff of 605 and an annual turnover of $318.2 million. What is a relatively niche industry in Australia, the Benders have committed themselves to educating consumers and the wider industry to the benefits of salmonid products and to how fish farming can be a successful and sustainable agricultural industry. Eight Awards were presented at the ceremony, which was opened by Minister for Agriculture and Water Resources, the Hon. David Littleproud MP and attended by Ministers, Senators, parliamentarians and industry leaders. The 2018 Young Farmer of the Year, sponsored by McDonalds, is Christopher McLoghlin from Diggers Rest, Victoria. Christopher's dynamic approach to farming was highly praised by the Judges. In a little over three years, Christopher has grown his organic mushroom business, Mycelia Organics, into a company enjoying more than 90% share of their category supplying product to all the major Australian retailers and more than 750 independent stores nationwide. Christopher was also the winner of the Award for Excellence in Technology, sponsored by New Holland. A lifetime contribution to Australian agriculture earned Raymond Harrington OAM, from Darkan, Western Australia, the title of 2018 Farming Legend of the Year. As a passionate farmer, inventor, innovator and community statesman, Raymond has spent the last 55 years dedicated not only to the improvement of his own farming enterprise, but to helping others and to having an impact both nationally and internationally with his developments. The 2018 Rural Community Leader of the Year, sponsored by Market Check, was awarded to Lorraine Gordon of Armidale, New South Wales. 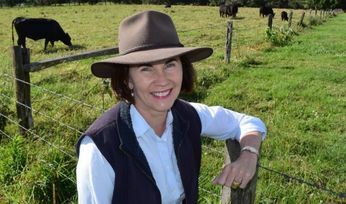 Lorraine's fearless approach to leadership was a highlight for the judges; along with her tireless ‘above and beyond' attitude to engaging with both growers, community and industry throughout rural Australia. 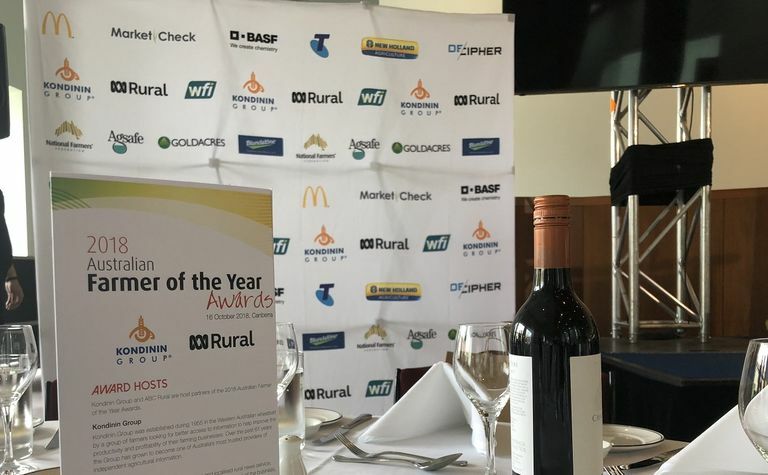 Tim Neale's reputation as a provider of unbiased, technical and practical information, and his ability to communicate agronomic solutions to a range of audiences, has seen him win the 2018 Rural Consultant of the Year Award, sponsored by BASF. Tim, from Toowoomba, Queensland, has more than 20 years' experience working in the Australian agriculture industry, most of which has been focused on sustainable agricultural practices and precision agriculture technology. Dan Fox from Old Junee, New South Wales, is a young farmer who advocates pursuing personal, team and business excellence with the courage to deal with change, think boldly and find new ways of doing things better, and was the highly-regarded recipient of the 2018 Award for Excellence in Innovation, sponsored by Telstra. From vertically integrating his supply chain to developing an organic red wine, Simon Rowe, Burra, South Australia, leads by example when it comes to successfully diversifying his farming enterprise and was named the 2018 Award for Excellence in Diversification, sponsored by Decipher. Simon is the Director of Princess Royal Station, a family-owned and operated mixed-farming enterprise based in Burra, South Australia. Under his guidance, the business now sustains a large portion of the fodder, grain and hay storage, freight requirements, livestock breeding and trading, plant and machinery, and project management needs internally. 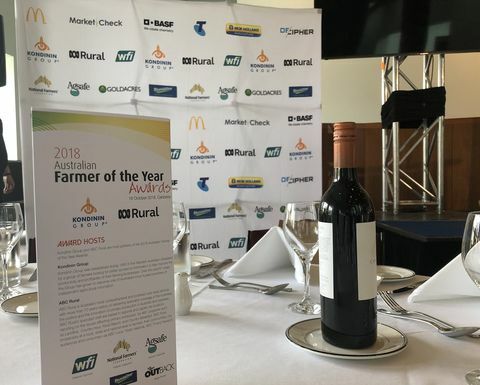 The Awards are supported by Platinum Sponsors, WFI, and industry supporters the National Farmers' Federation, AgSafe, Goldacres and Blundstone; and media partners RM William's OUTback.